Excel Consultant is constantly searching for new ways to help companies enhance their productivity and streamline their operations using the powerful tools of the Microsoft Office Suite. We help organizations, institutions, and businesses across the United States and even around the world, from close by Canada to faraway Australia, but our central hub of operations is our Irvine, California office. Two years ago, in November of 2013, we proudly partnered with Talon Corp, or Talon Computer Associates, another Irvine-based IT (information technology) consultancy and Microsoft Certified Partner. Talon Corp’s President, Paul Delke, became an outstanding addition to our team as our Senior Project Manager and Programmer. He uses his three decades of experience to help clients create interactive reports, forecast their sales, track their performance, code automated solutions, and simply utilize Excel more effectively. This Thursday, Paul will share his knowledge and further give back to our local community by providing a webinar for the Irvine Chamber of Commerce. Read on to learn more about this special presentation and find out how you can participate in it. What is Irvine Builds Businesses? The Irvine Chamber of Commerce is an influential institution in the Orange County area. The organization represents, supports, educates, and assists hundreds of businesses. The Irvine Chamber of Commerce strives to boost the local economy, foster collaboration between companies, and champion businesses’ rights with government officials. This organization is one of the most respected of its kind—it earned a Four Star Accreditation from the United States Chamber of Commerce. Irvine Builds Businesses is one of its many instructive programs for local business owners and managers. For the past several years, the Irvine Chamber of Commerce has hosted these free weekly webinars. During interactive online seminars, industry leaders lecture and present on their areas of expertise, from web design to photography. The common denominator of the Irvine Builds Businesses events is their emphasis on making companies more productive and efficient. Selecting cells using the control key to format information, enter data, and calculate totals in the status bar. Utilizing the ribbon and keyboard shortcuts to insert and delete columns and cells. Formatting lists and spreadsheets in Excel with multiple styles, as well as using the format painter. Customizing Excel functions, options, and toolbars according to your business’ distinctive needs and preferences. Copying and pasting information with special options. Validating and cross-referencing data with lists on other sheets. Using the Filter tool to draft OORs (Operational Outlook Reports), utilizing On Order tabs, search information with add-ons, sort data according to customized options, and classify input according to its text, number, and color. Executing conditional formatting capabilities (including Warehouse and OOR Report/Ownership tabs) to use icons, set up entire columns, adjust cell ranges, and implement pre-set formats, such as highlight or top/bottom rules. Importing data in a delimited manner or manually with the Text Import Wizard. Creating formulas with Formula Builder using text (concatenate, mid, left/right), logical tools (hyperlink, ylookup), date & time, math (with sumifs), and $ to anchor values. Evaluating and debugging formulas once designed or implemented. Charting data with basic pivot tables (Excel functions that summarize, evaluate, and visually represent data from a spreadsheet). This is Excel Consultant and Talon Corp’s first foray into the Irvine Builds Businesses series, but Paul has given numerous presentations in the past. He understands how to clearly and successfully educate corporate owners and managers about Excel. Paul and his team have helped hundreds of businesses leverage Excel to their advantage. If you missed the webinar on November 5, no worries, the Irvine Chamber of Commerce has uploaded a recording of the webinar and it is YouTube channel that you can watch when it’s convenient for you. 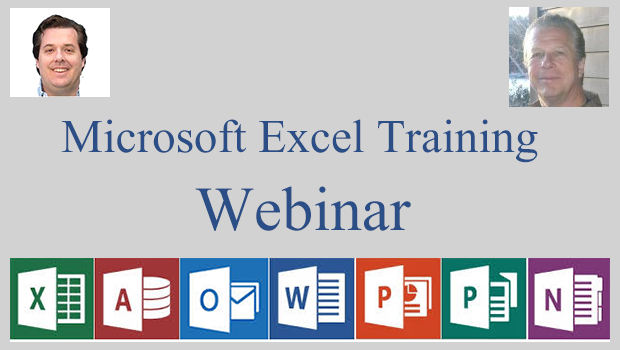 If you’re interested in making the most of your business with Excel, you can learn directly from a seasoned expert by signing up for Talon Corp’s webinar. The presentation will begin on Thursday, November 5, at noon. You can join the webinar from your personal computer, desktop, laptop, tablet, or mobile device. You will need to have the hardware and software capabilities to run Fuze, the webinar platform Irvine Builds Businesses uses. Paul will speak for about 45 minutes, then leave time to answer participants’ particular questions. If you’re unable to make it to the webinar on November 5, the Irvine Chamber of Commerce will upload a recording to its YouTube channel that you can watch when it’s convenient for you. Do You Want to Use Excel Better? Talon Corp’s Irvine Builds Businesses webinar is an outstanding opportunity to get free assistance and advice for your company’s IT. To find out more about Excel Consultant’s services or discover our other training tools, contact us today. We hope you’re able to attend Talon Corp’s webinar and look forward to hearing from you! Posted on November 6, 2015 Posted in Blog Category, Free Excel Help, Team Updates and tagged Irvine Chamber of Congress, Irvine Excel Webinar, Paul Delke, Irvine Builds Businesses, Talon Corp.